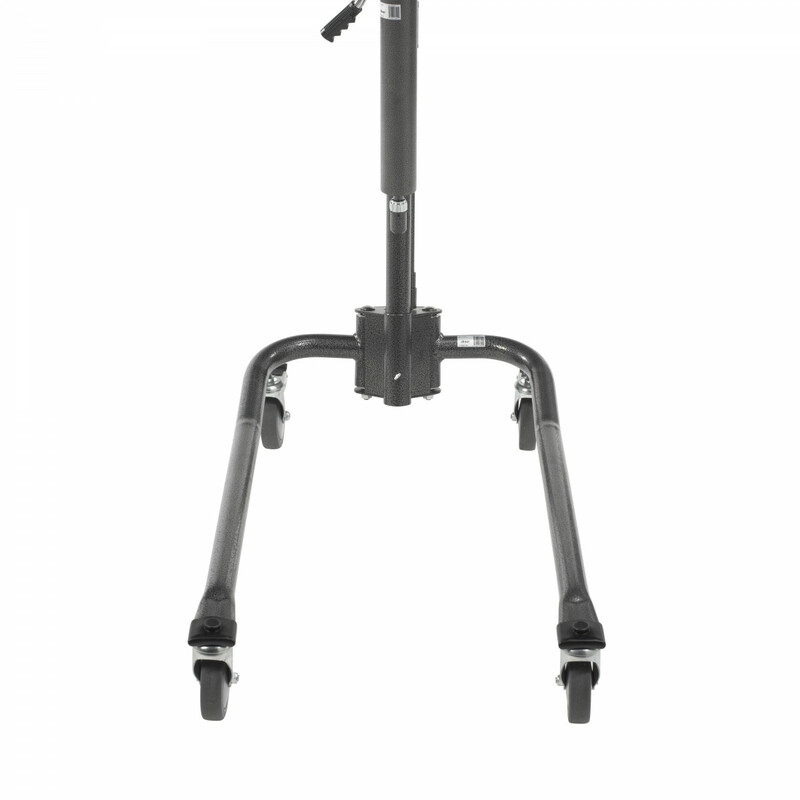 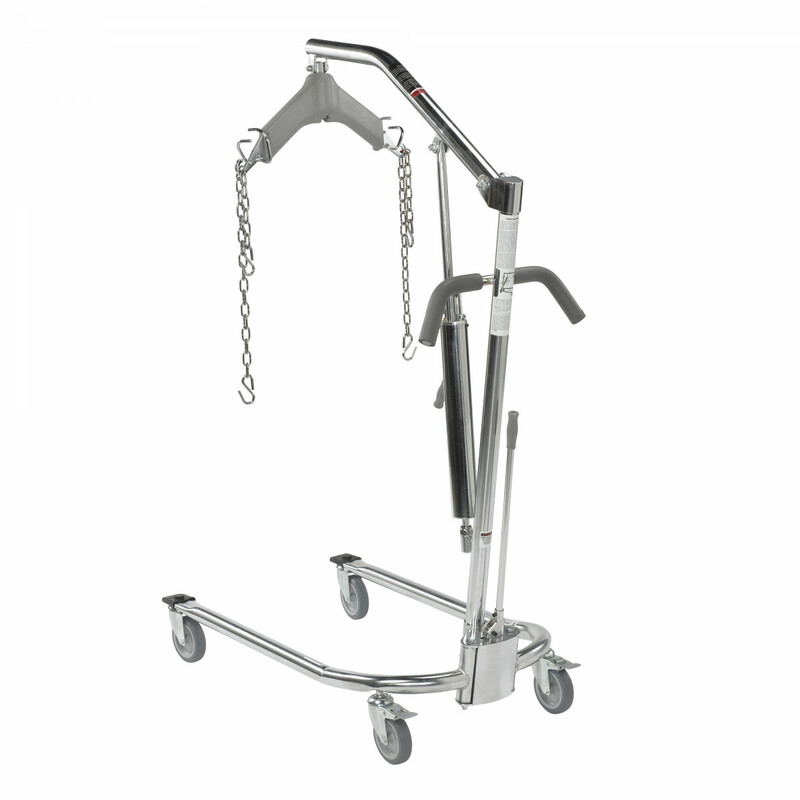 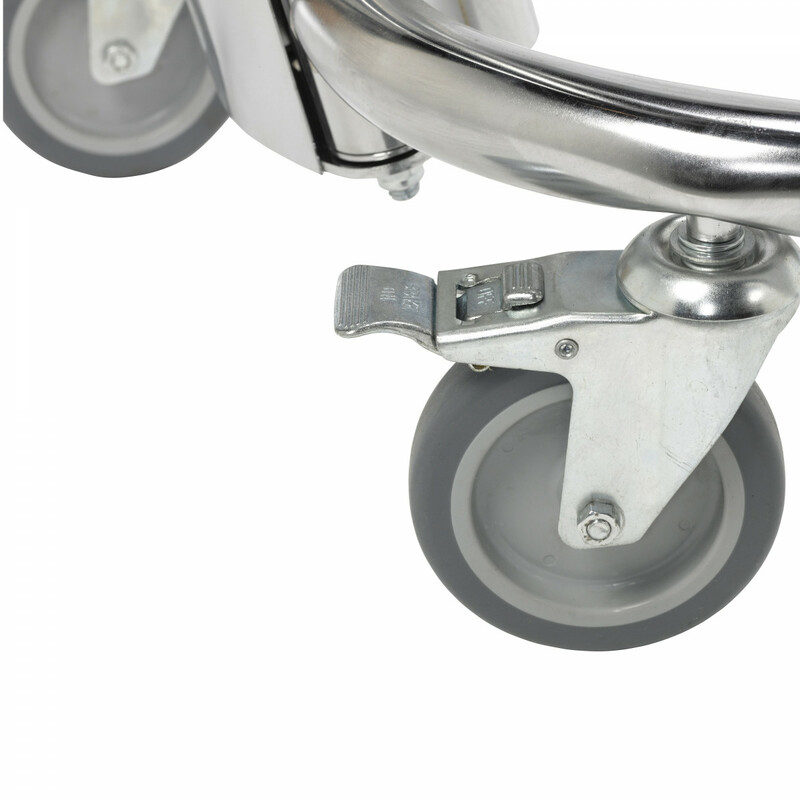 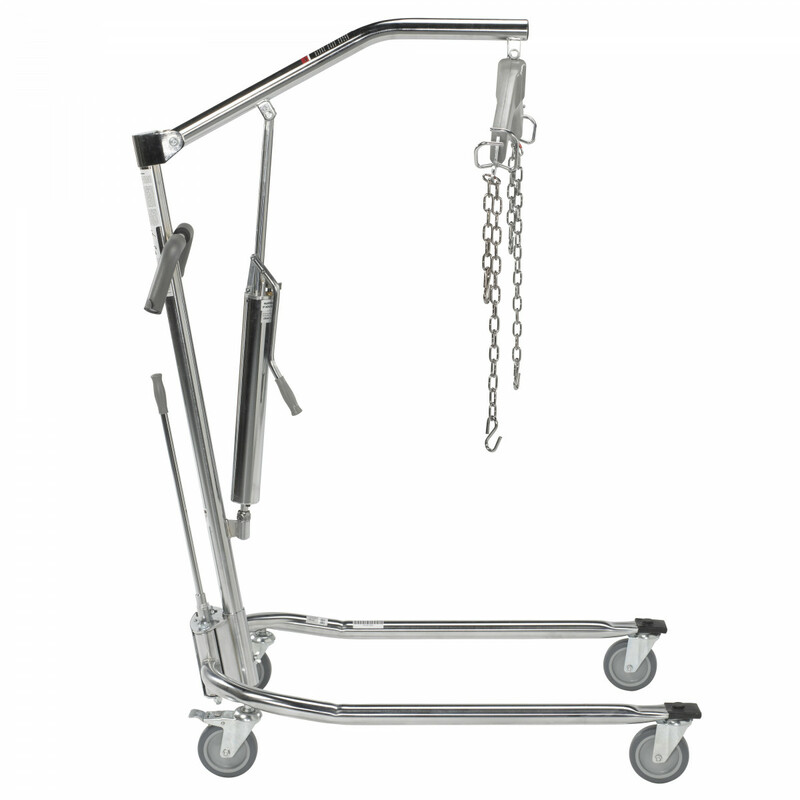 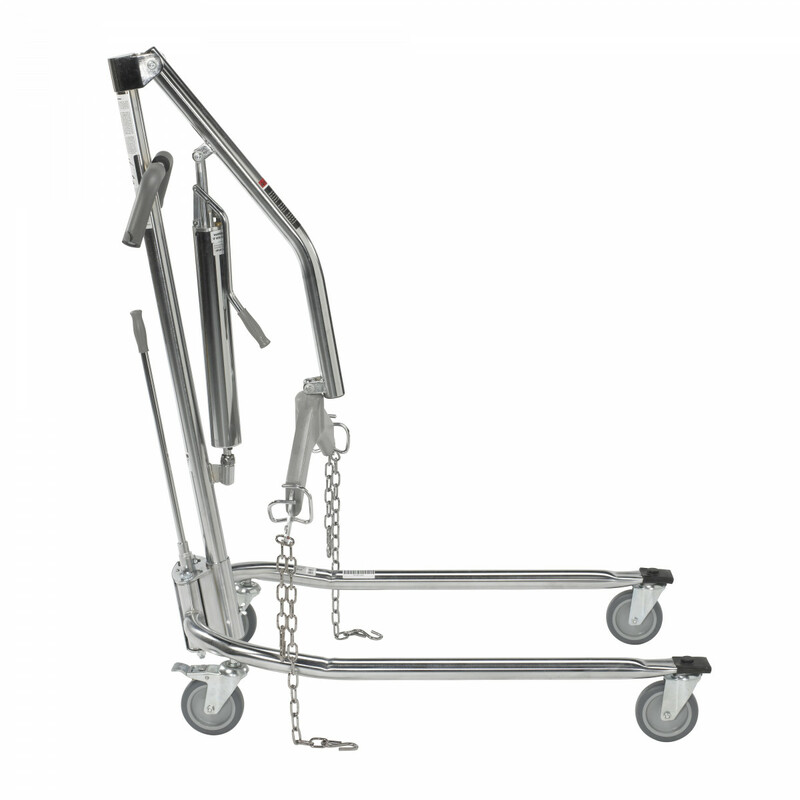 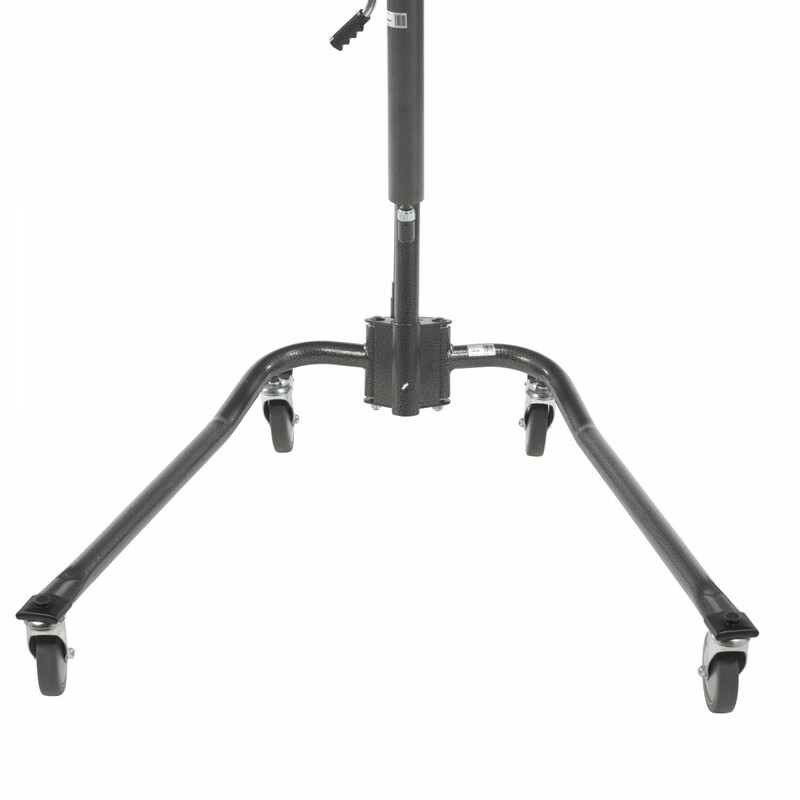 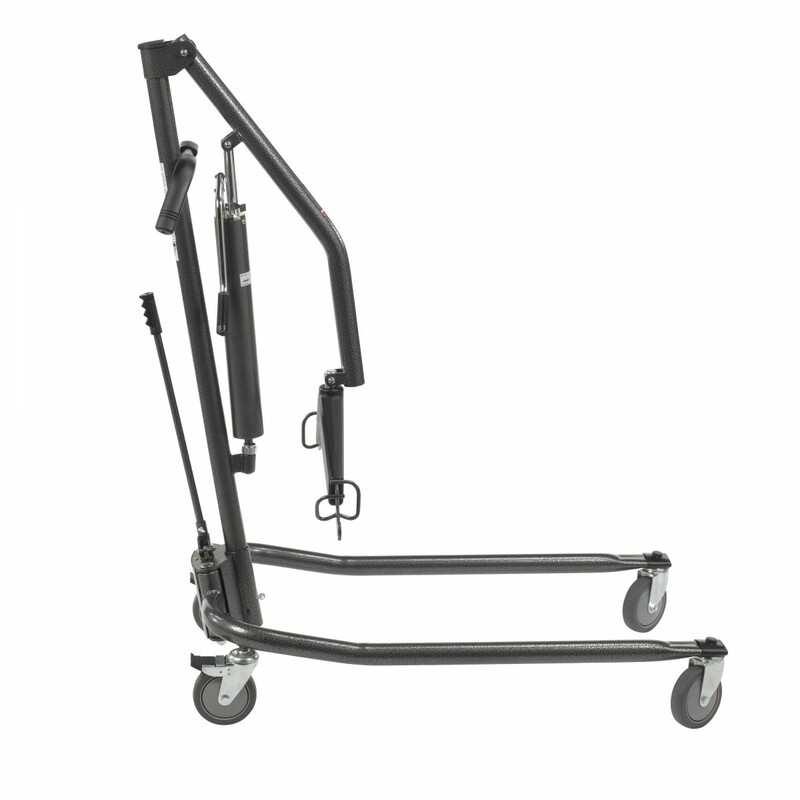 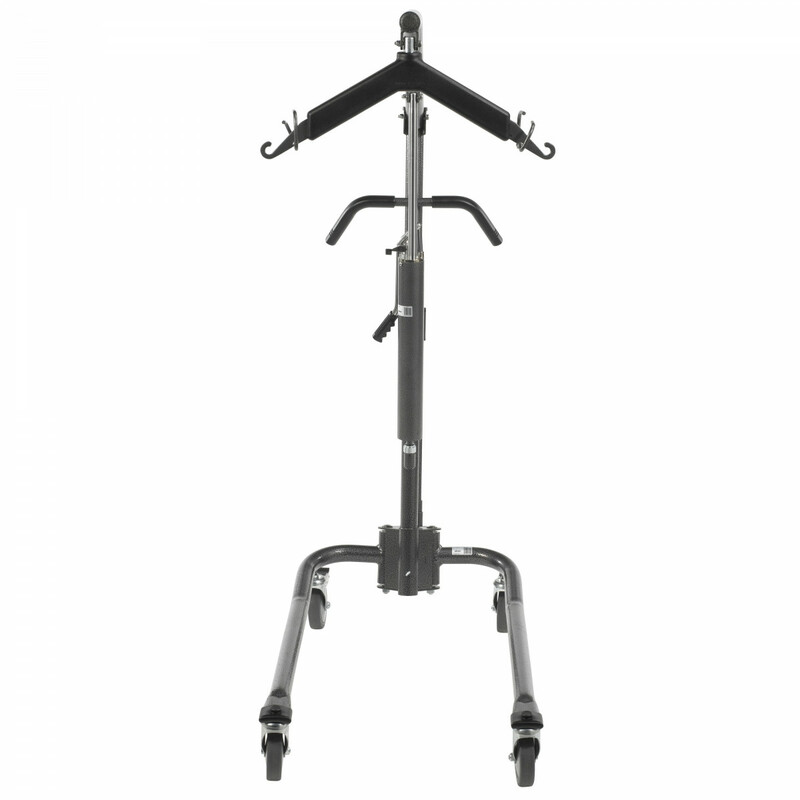 Patient Lift with 5 Inch Casters - Chrome - SHIPS FREE! 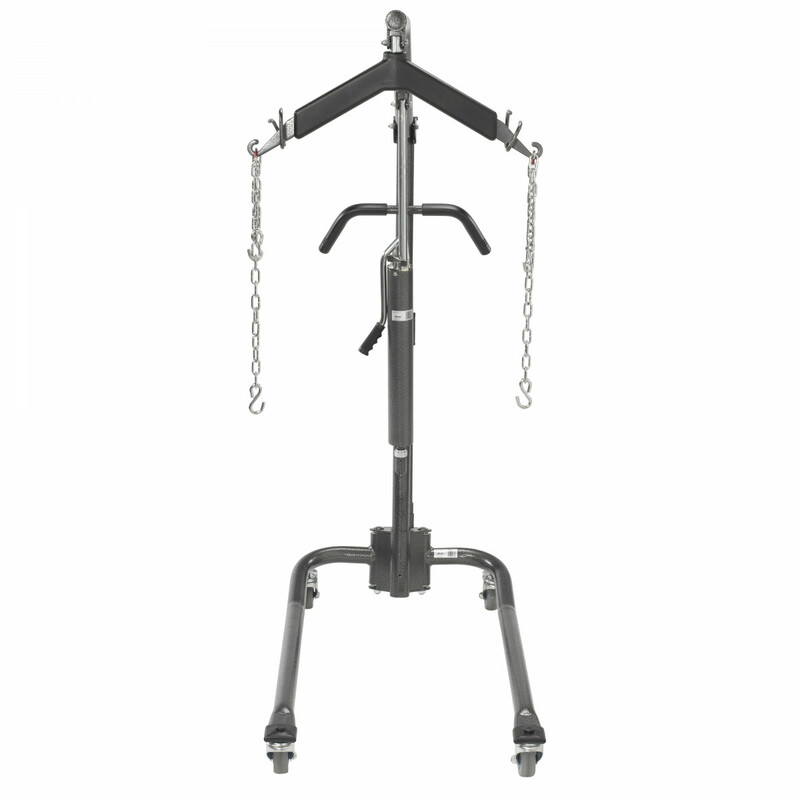 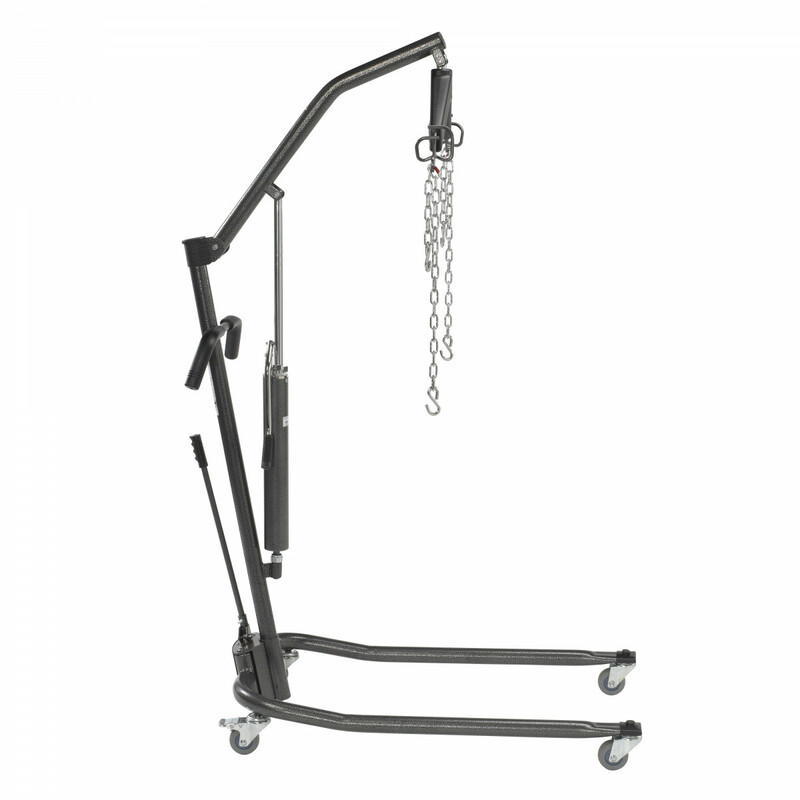 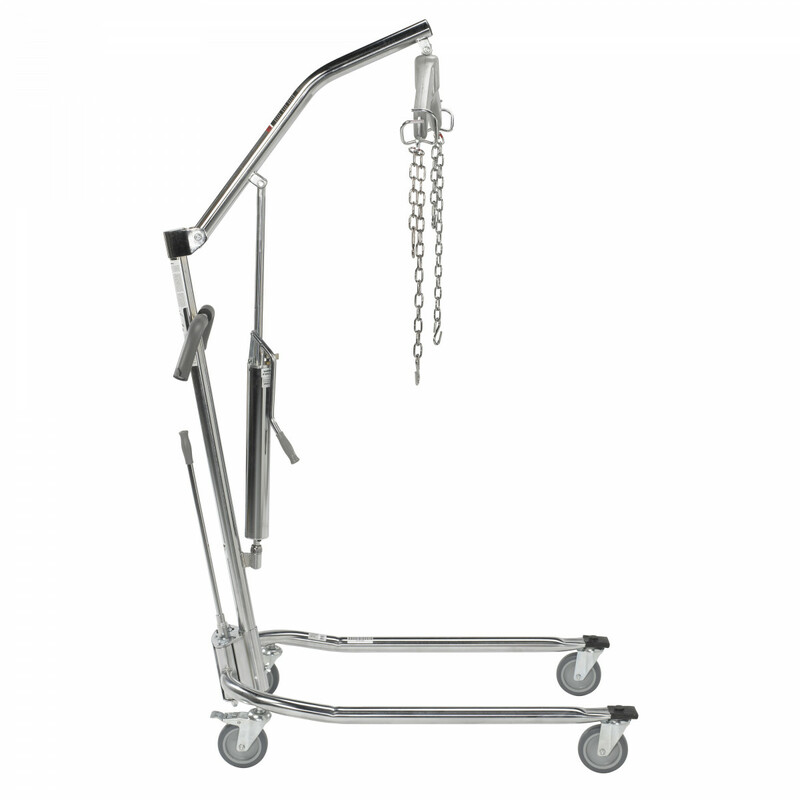 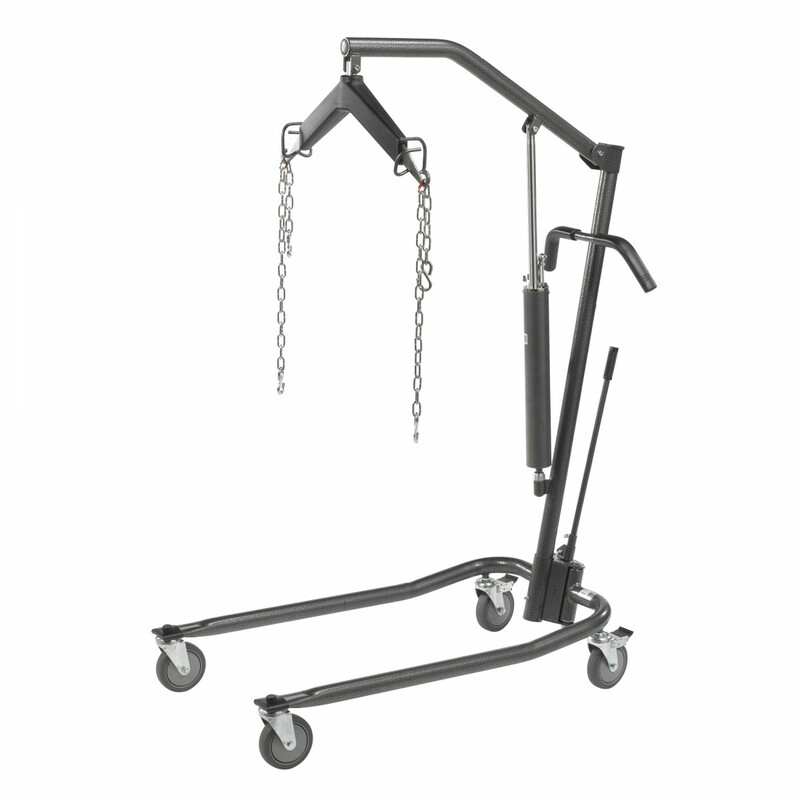 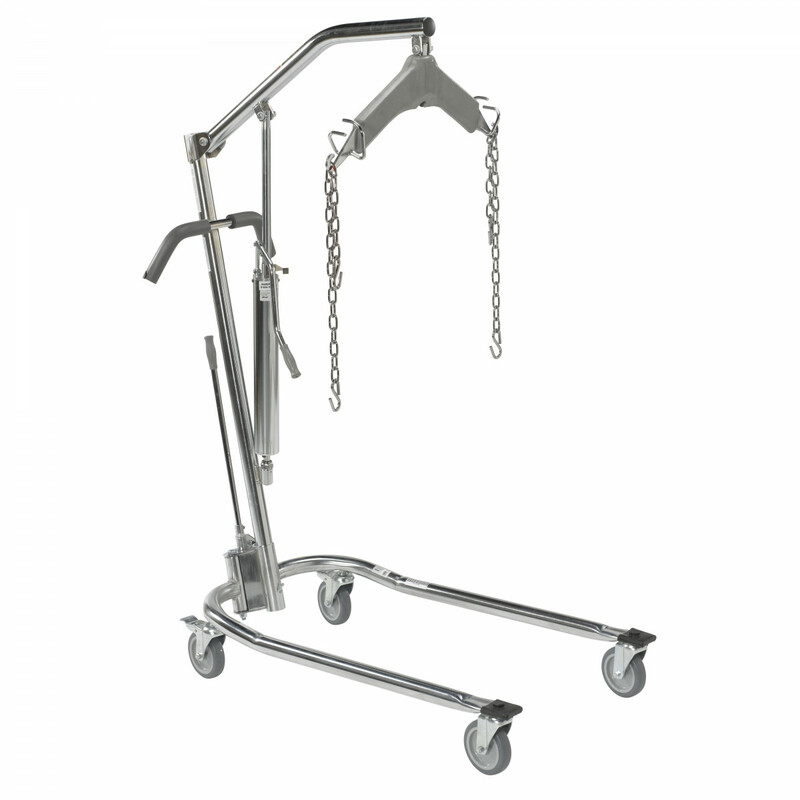 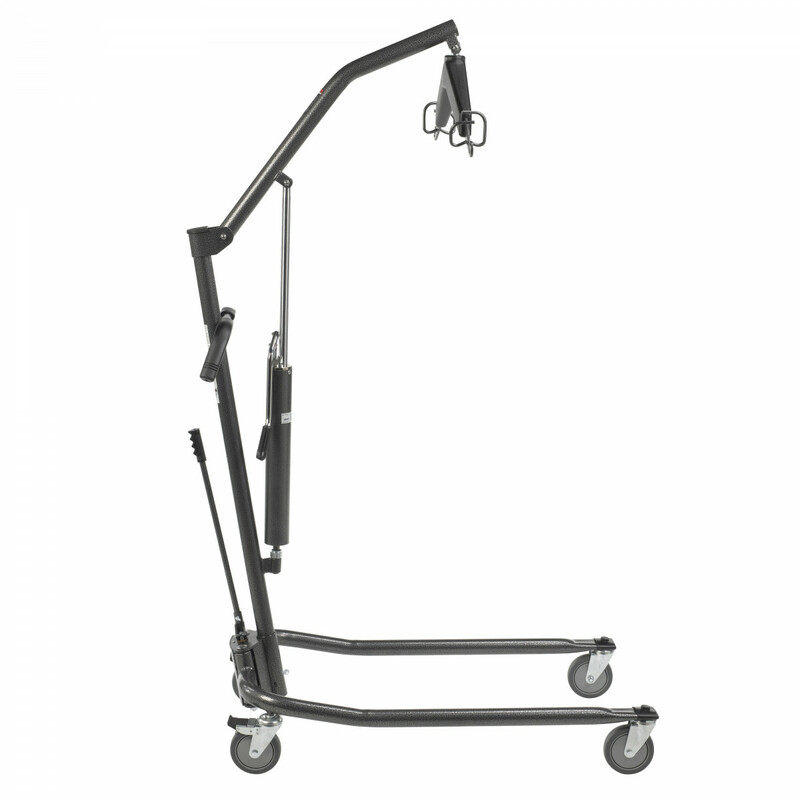 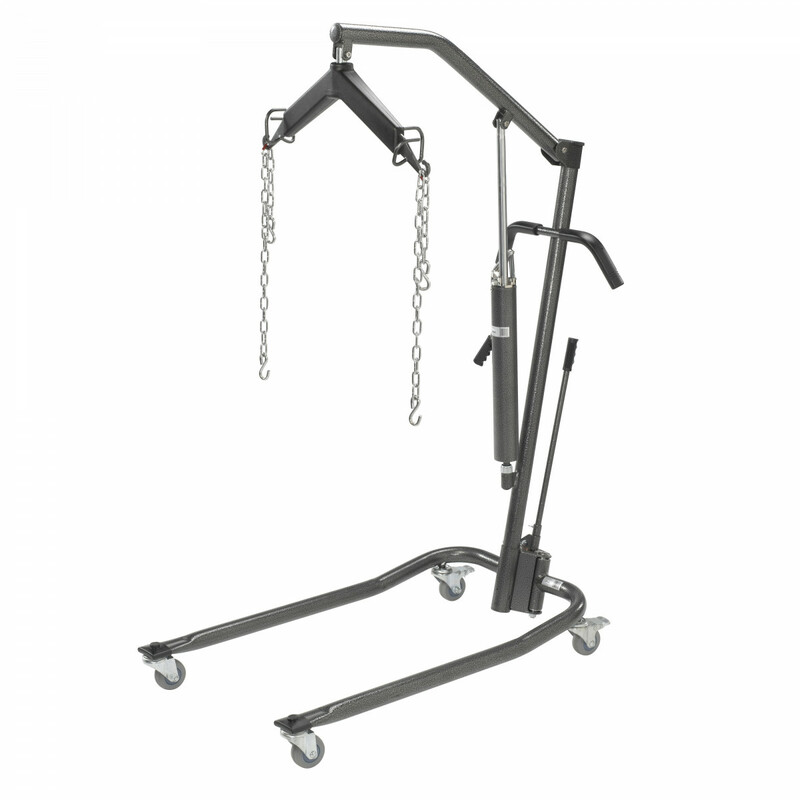 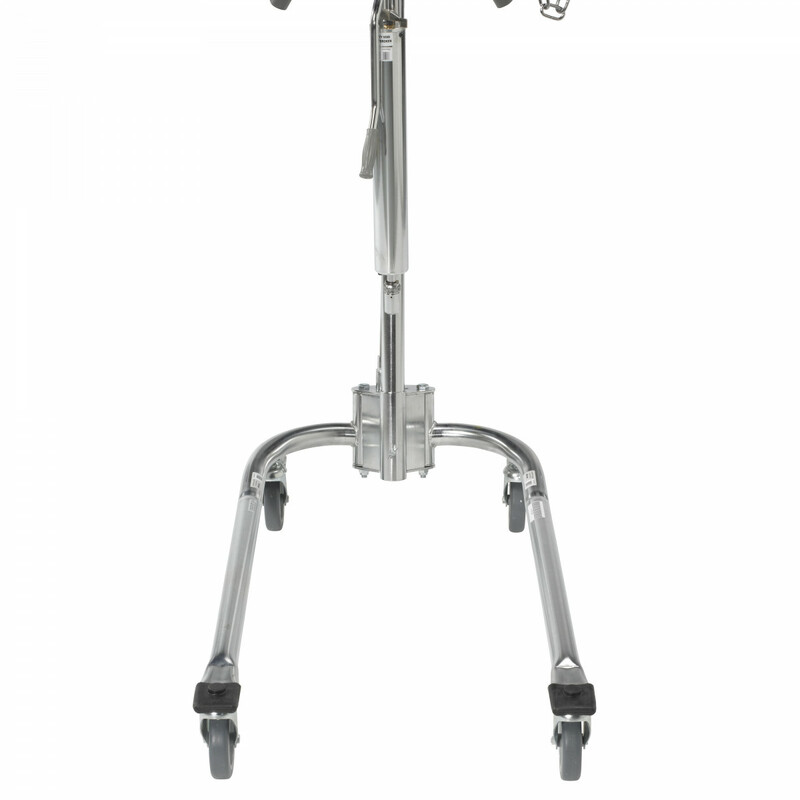 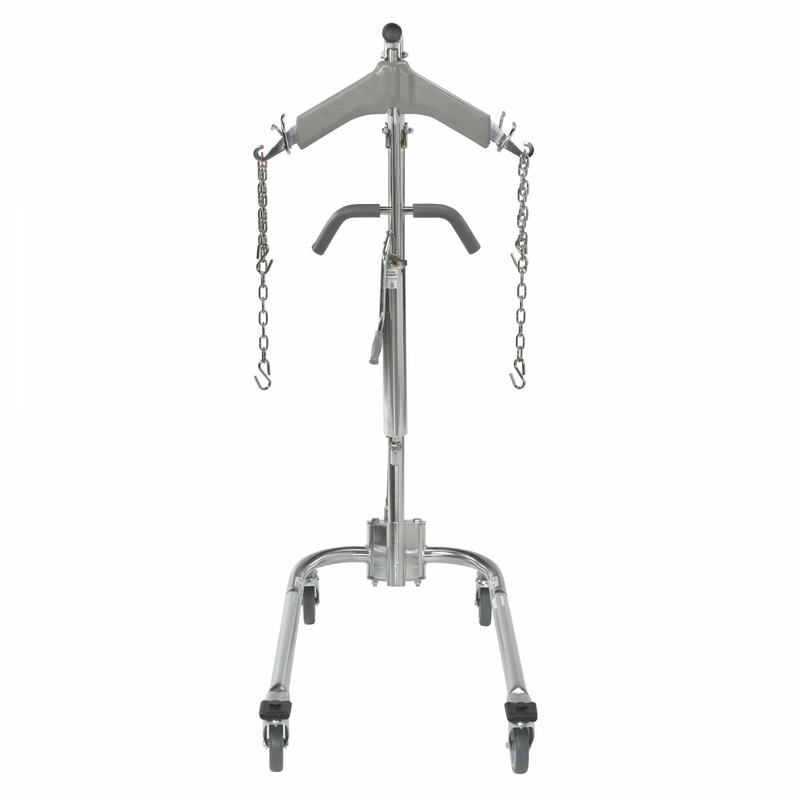 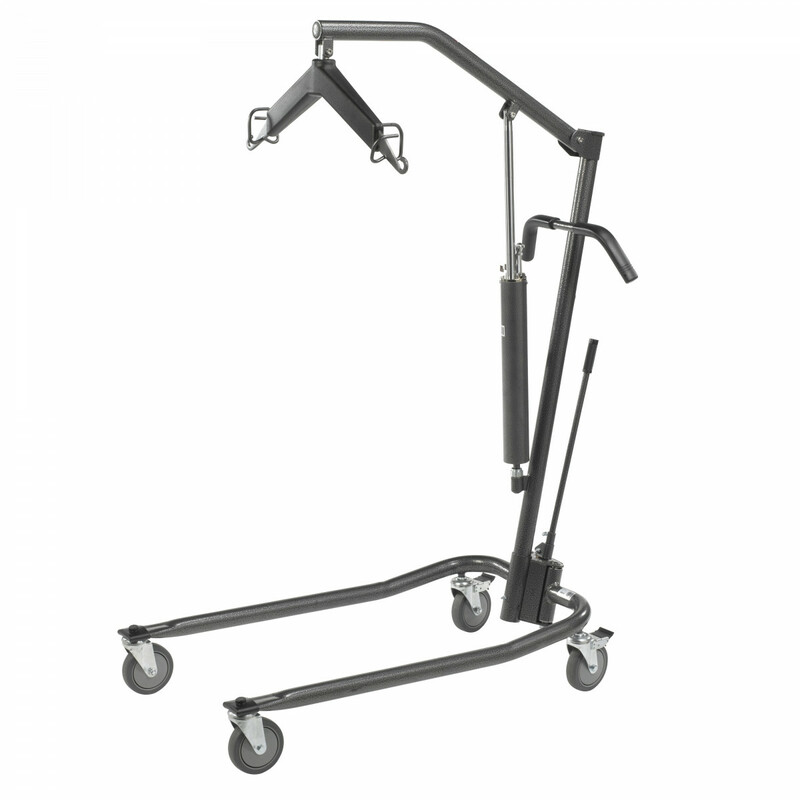 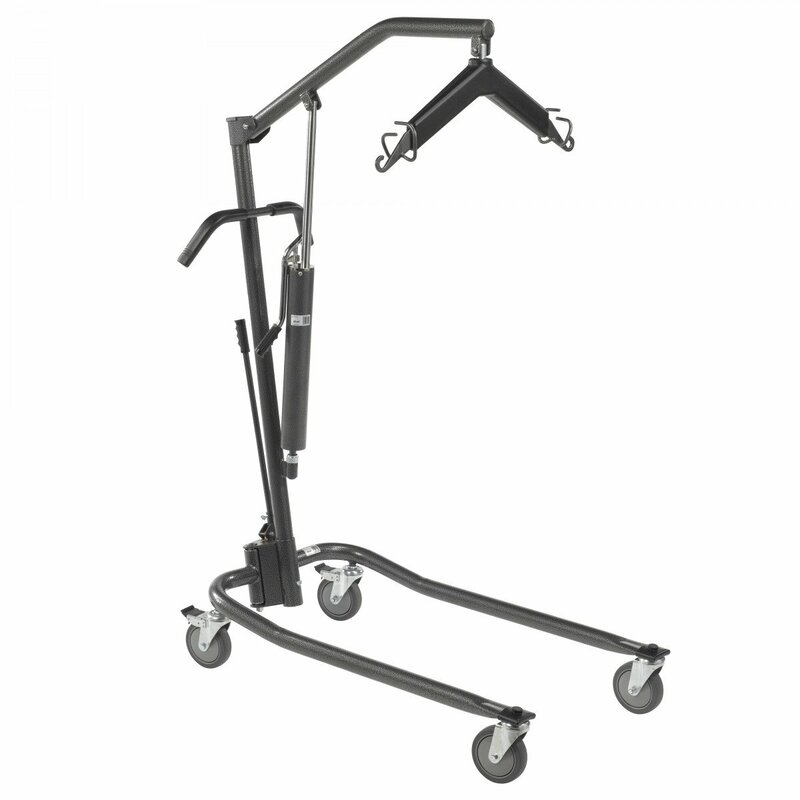 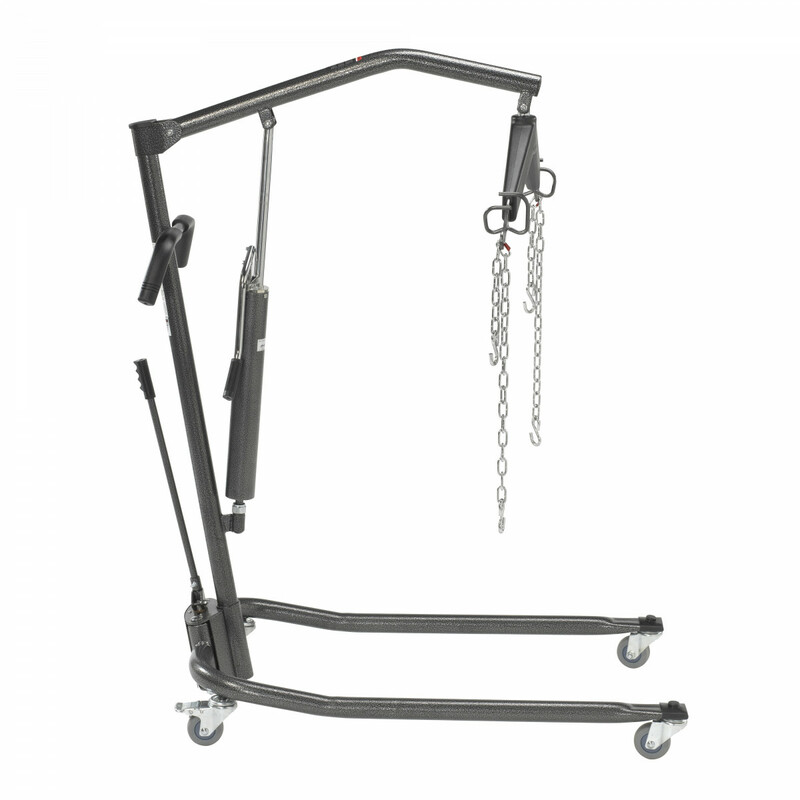 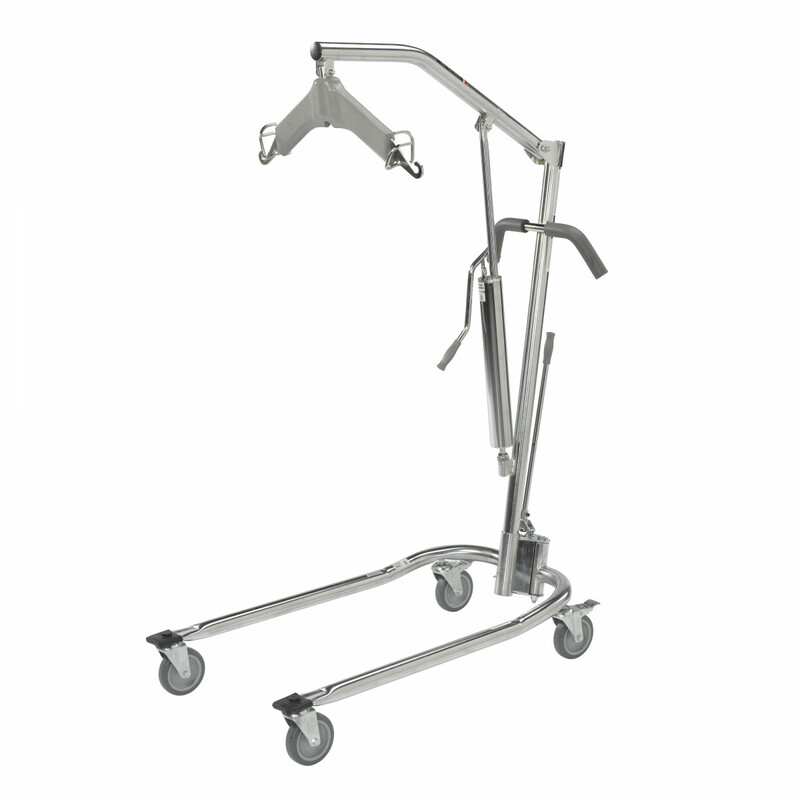 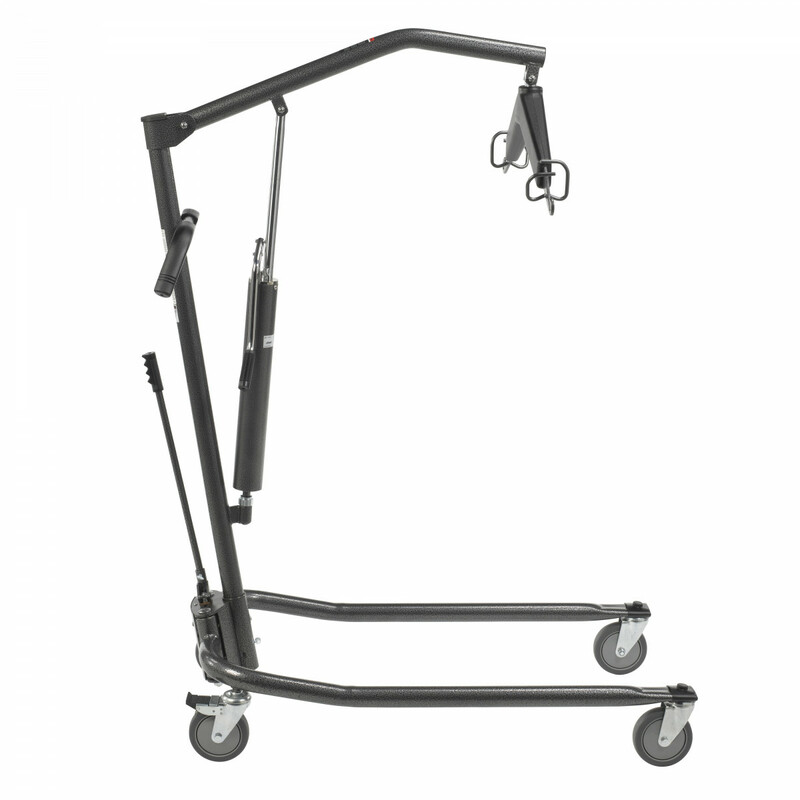 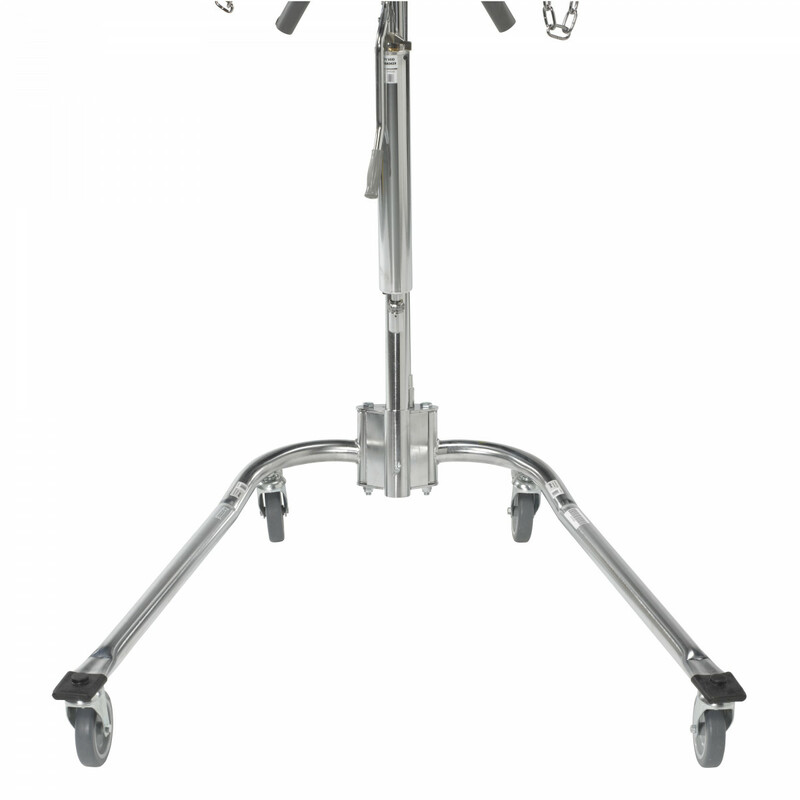 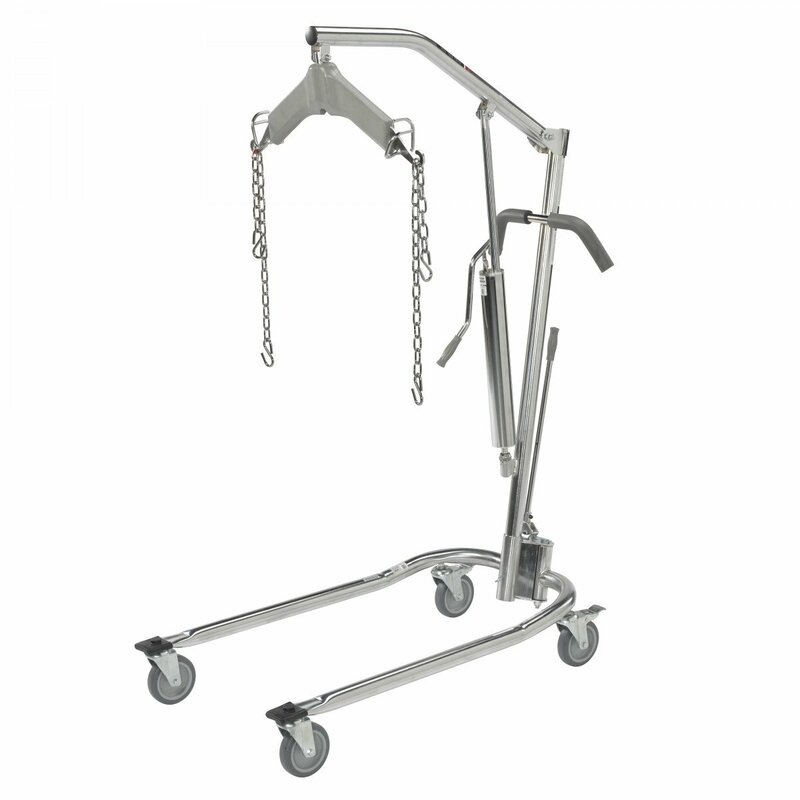 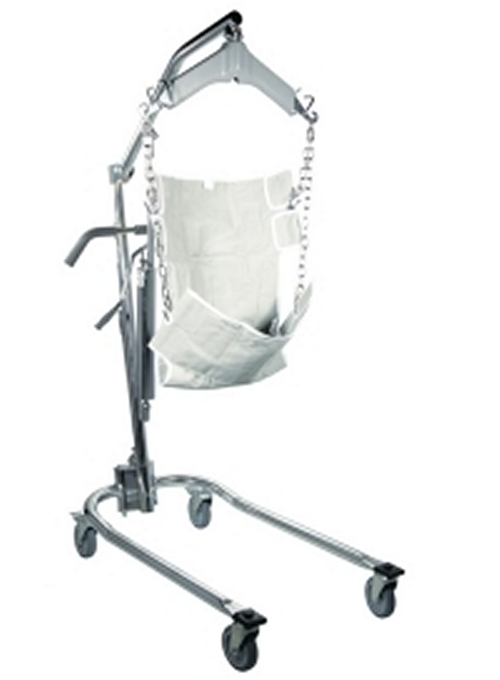 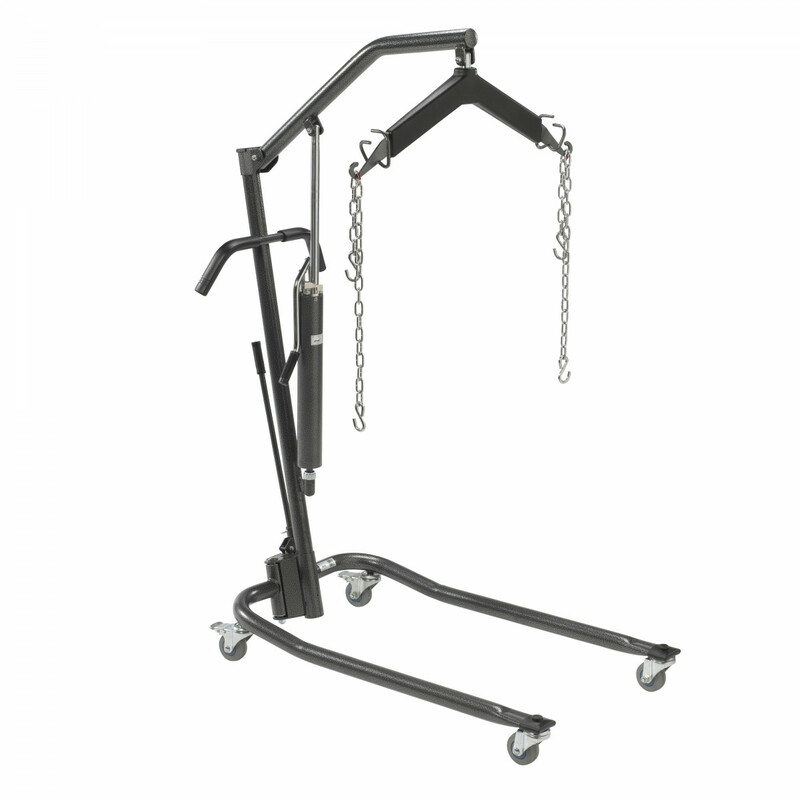 Manual Hydraulic Deluxe Chrome Plated Patient Lift with Six Point Cradle is constructed from chrome-plated steel. 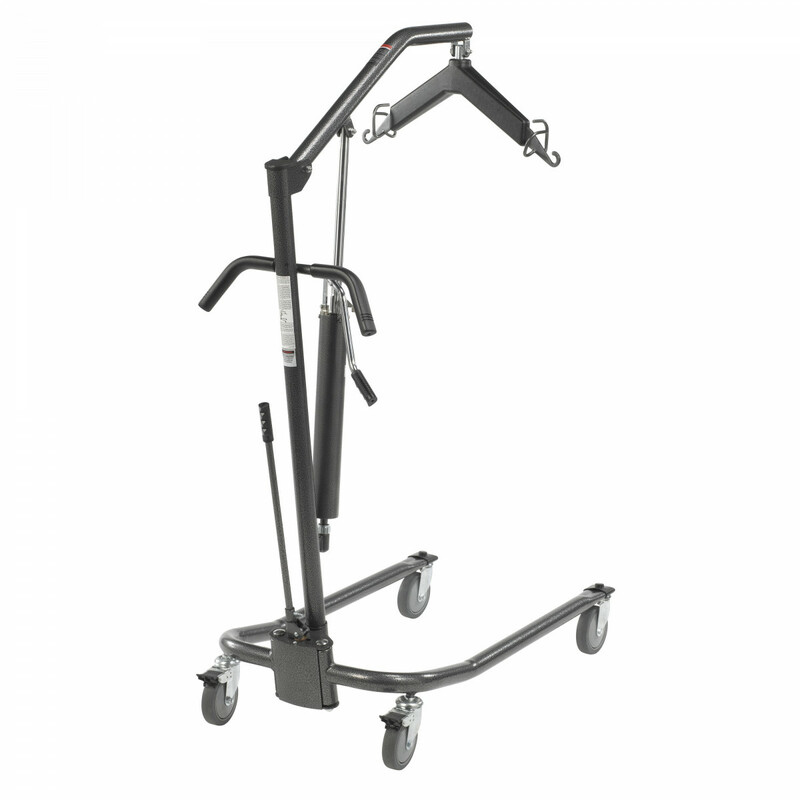 The Drive Medical Manual Deluxe Patient Lift is not only strong, but is long lasting.The lift can safely raise or lower individuals from any stationary position using high performance hydraulics both gradually and safely.In order to provide a stable base for movement, easy to operate caster brakes are included to halt the movement of the lift.The patient lift also comes withpoint cradle and Four Casters. 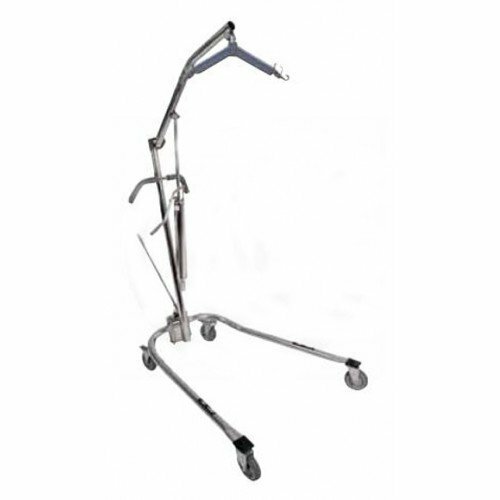 The lift can also be made more stable with an adjustable width base, giving the Drive Medical Patient Lift a 450 lb weight capacity.The base also enables the lift to be compacted down for easy transport through narrow doors or hallways. 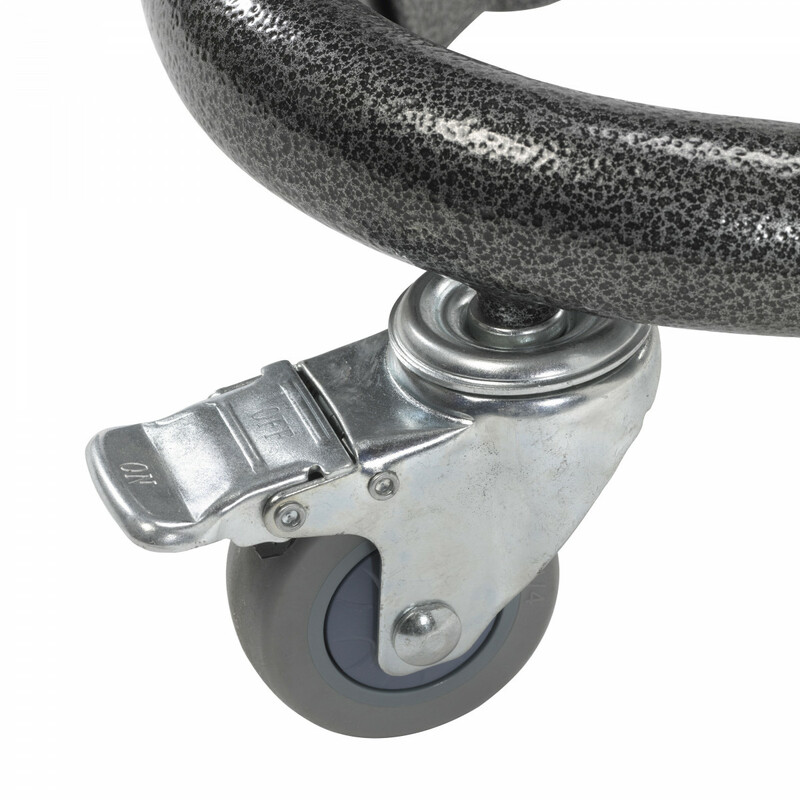 Caster brakes provide additional security and safety. 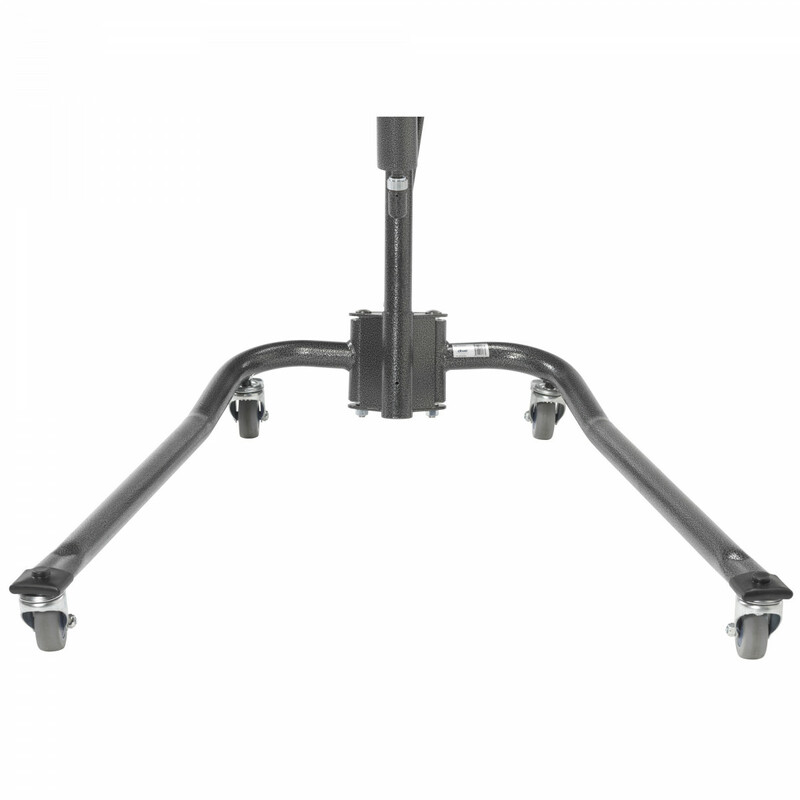 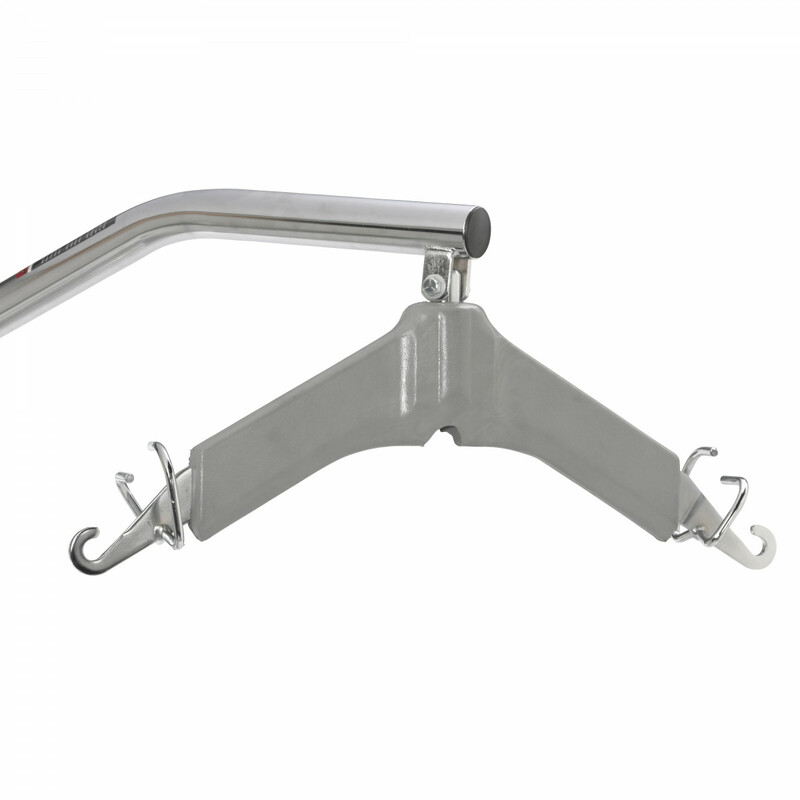 Chrome-plated steel construction provides maximum strength. 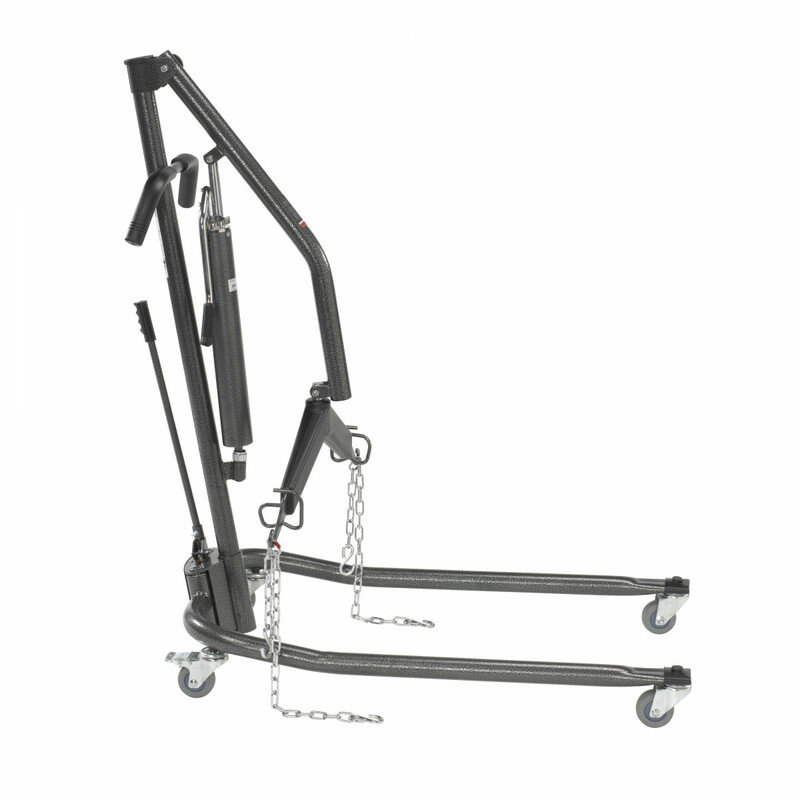 Carton Shipping Weight: 81 lbs. 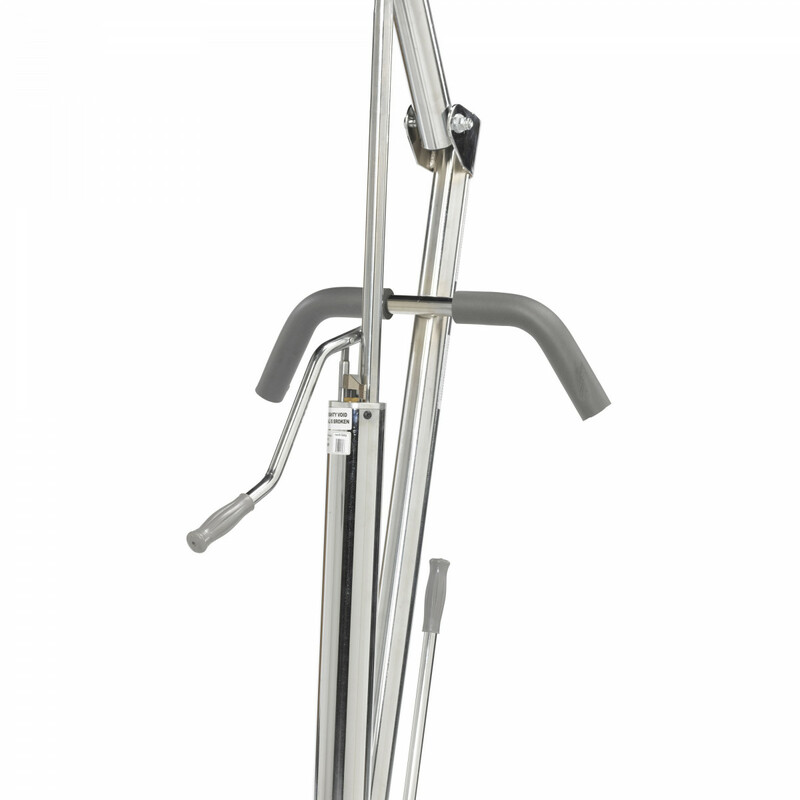 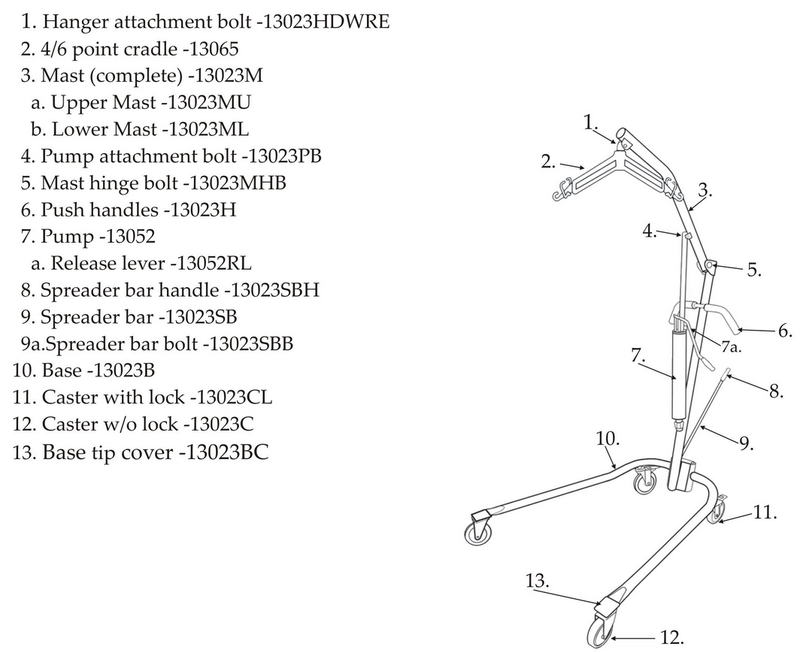 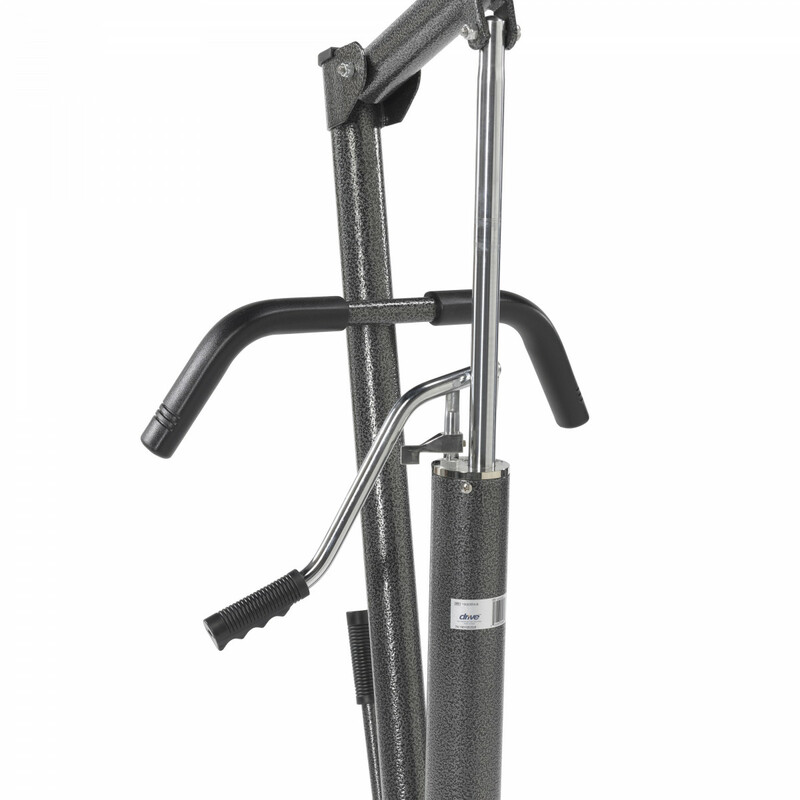 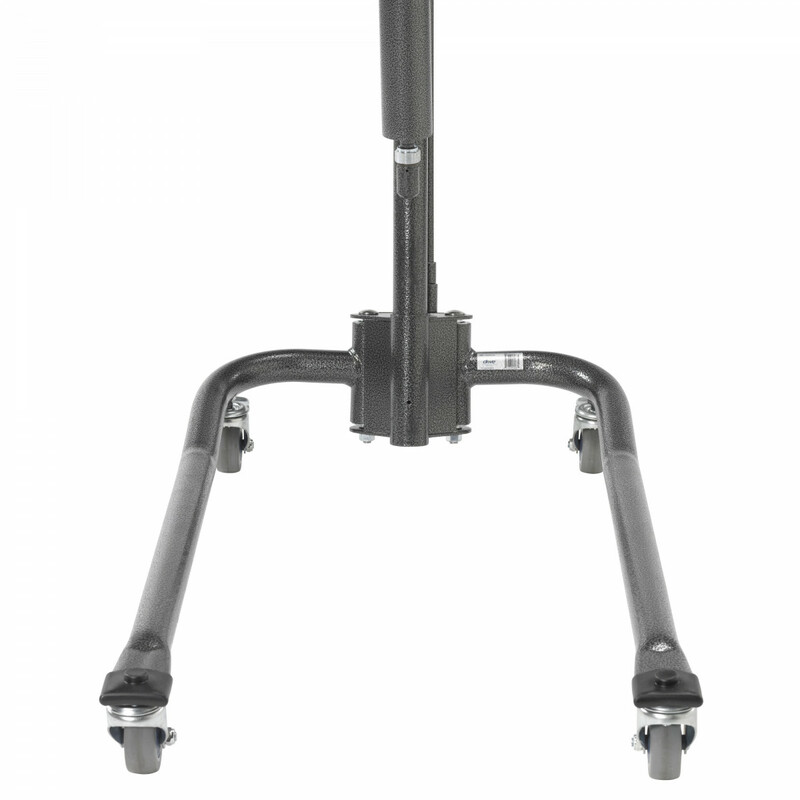 Drive Medical Manual Deluxe Patient Lift Warranty: Limited Lifetime Frame, 1 Year Limited Pump.